Amongst the sacred trees of India Peepal or Ficus religiosa stands foremost. According to common belief Lord Vishnu and other gods reside beneath it. Devout Hindus worship Peepal as they feel this tree is the symbolic representation of various gods and goddesses like Vishnu, Buddha, Krishna, Brahma, Lakshmi, Aditya, Vana Durga, etc. This tree appears to have been associated with the Mother Goddess in the Indus Valley civilization. 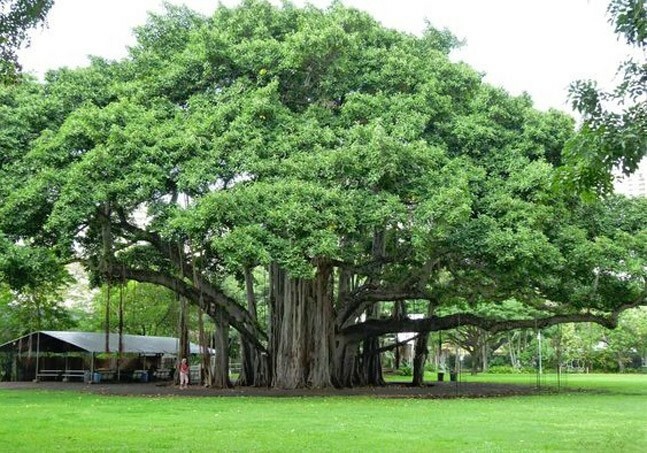 This tree is one of the most beautiful trees in the country and grows to a huge size. This is found everywhere, but especially where the Brahmins perform their ablutions. Its large leaves are very soft to touch and are of bright green color. These leaves are so light and thin that the slightest breeze sets them in motion and as they produce an impression of most refreshing coolness, the tree is considered to possess health-giving properties. This sacred Peepal finds its mention in the Rig-Veda. According to Vedic sources its wood was used as fire vessels and as drill for producing sacred fire. As mentioned in ancient Ayurveda, Peepal is sprinkled with water accompanied by prayers for the removal of certain ills, such as throbbing of the eyes and arms, dreadful dreams, etc. The Peepal tree is called by nine different names in different languages and geographical settings. The custom of Peepal worship dates back to the Harappan culture and this has also an important position in Brahmanical religion. According to the Hindu scriptures it is said that when Daityas or giants had driven out gods and goddesses from the Heaven they took shelter under the Peepal tree. According to Padma Purana, Au-Lakshmi, the god of ill-luck, resides in this tree and for this reason the Au-Lakshmi is worshipped by devout Hindus on every Saturday. Various rituals prevalent among womenfolk are connected with the Peepal tree. o In Bengal, on the Sankranti (the last day of Bengali Calendar) Asvattha Pata Broto or fast is observed which is meant to increase happiness and prosperity of the family. o In northern India, on the Somavati Amavasya worshippers pour water and raw milk on the roots and circumambulate the tree 108 times. o In Rajputana, married women worship the Peepal to avoid widowhood. Peepal is also symbolic of ancestors’ worship during October-November when earthen pitcher is hung to its branches and filled with water, milk, Til and honey. It is believed that ancestors come down from the tree and accept the offerings. 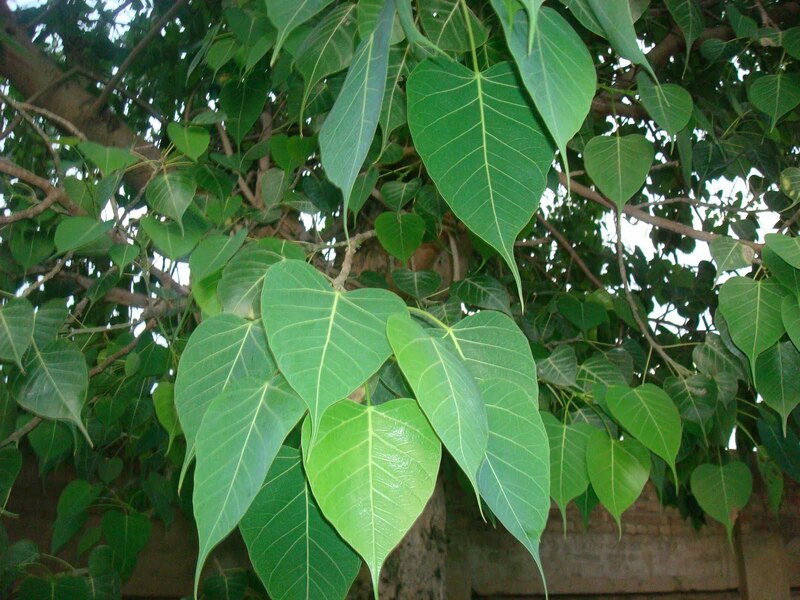 The Peepal tree is also significant from the medicinal point of view. According to the Ayurveda, decoction of its bark with honey is good for cure of skin diseases. It is said that Asvattha (Peepal) bark is useful Gonorrhea, ulcer and various other skin diseases. From the dried fruit of this tree a powder is prepared and dissolved in water and taken twice a week to cure the deadly disease asthma. Ritualistically speaking, Hindu women worship Peepal for the boon of male offspring. 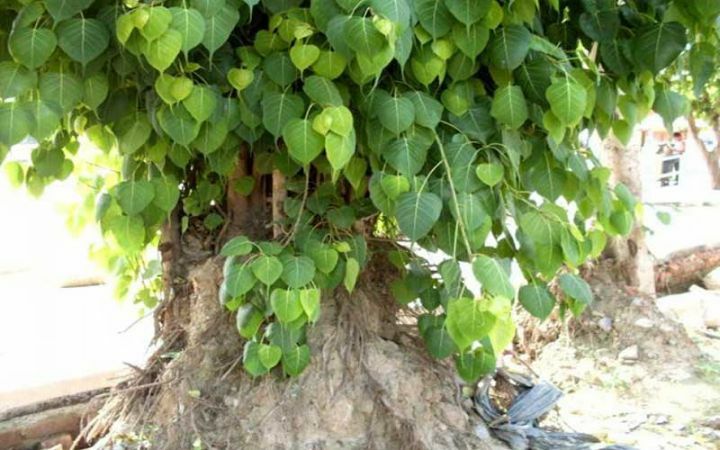 According to the Atharva Veda, Peepal tree is considered as benefactor of mankind by blessing barren women with children. Thus the tree is considered potent with fertility. So we can see that Peepal tree is worshipped for its multifarious medicinal and utilitarian value as well.